yoni0505's Spot: Second life - Registration is unavailable at this time. Second life - Registration is unavailable at this time. 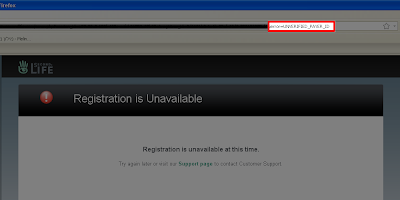 When I tried to register to second life I had this error: "Registration is unavailable at this time." At the end of the address line there was written "error=UNVERIFIED_PAYER_ID". Then I understood why I cant register, I have to verify my paypal account. So if you had this kind of problem and didn't find any help, you may want to look at the address line. I wonder why second life staff couldn't just put that massage in the page and save me and others a lot of trouble? Every time I put the code down that they gave me, it always pops up with the error message. Help? I've been trying to register for 3 days. I don't know what to do.